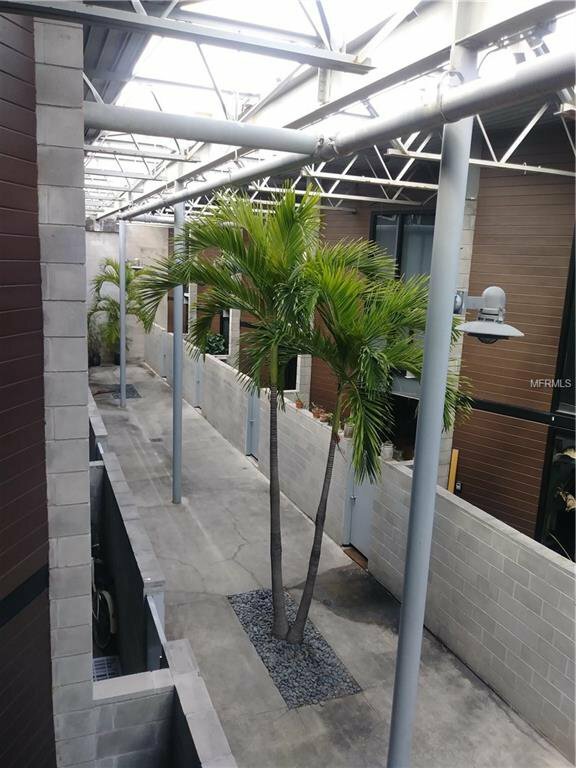 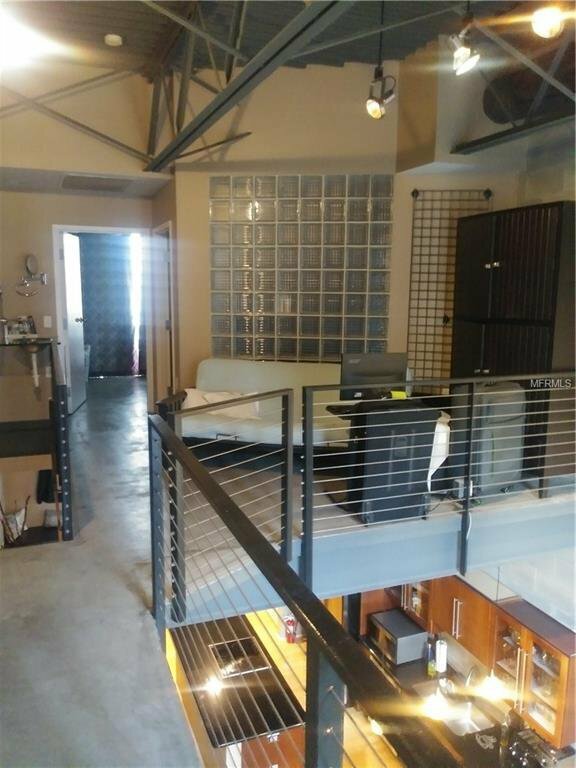 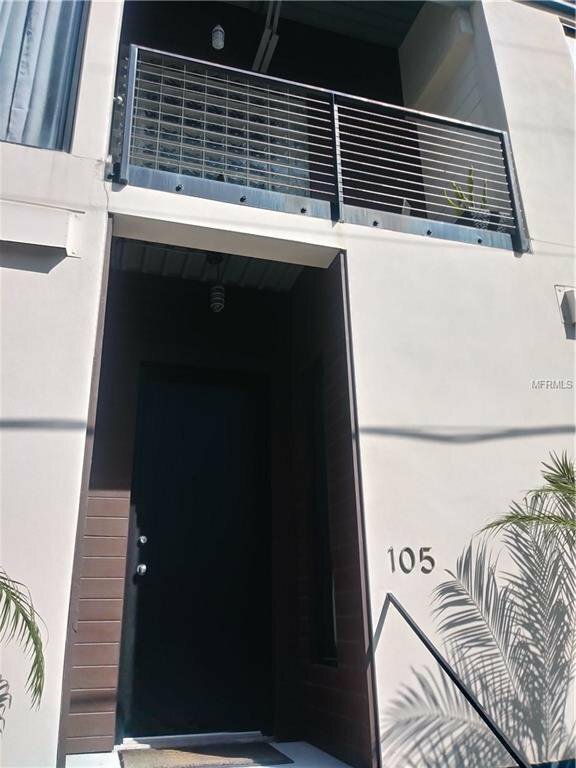 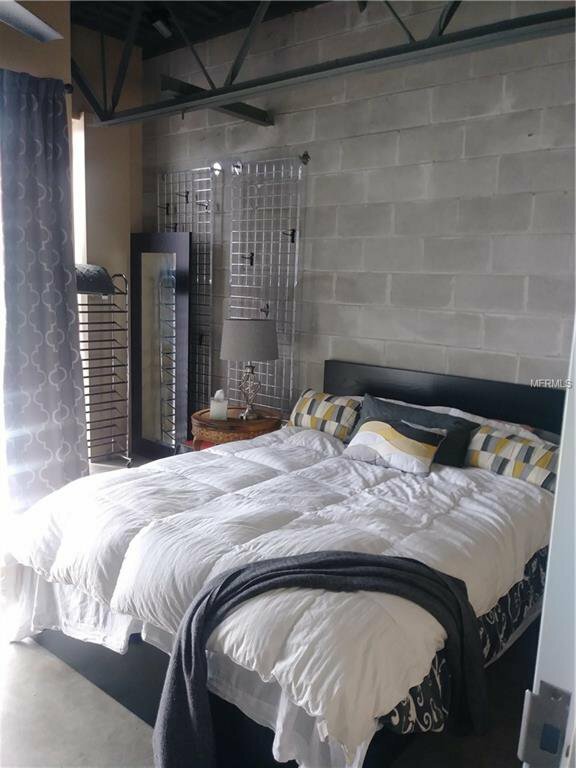 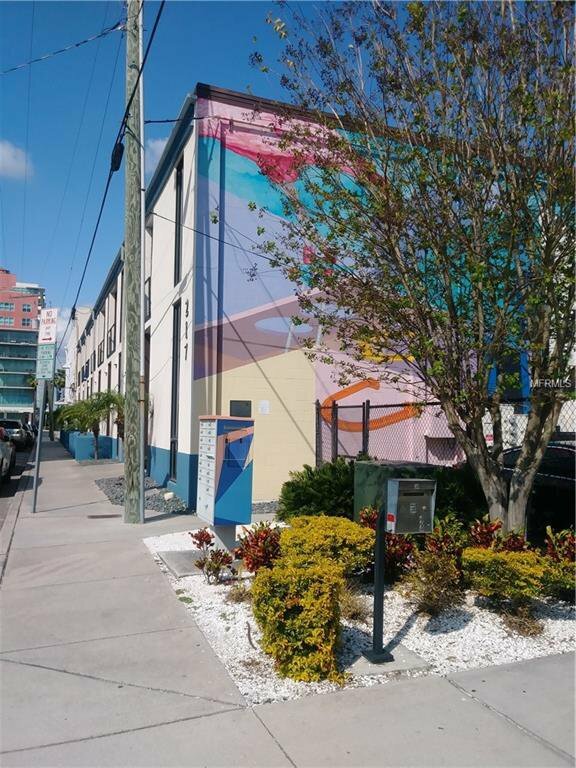 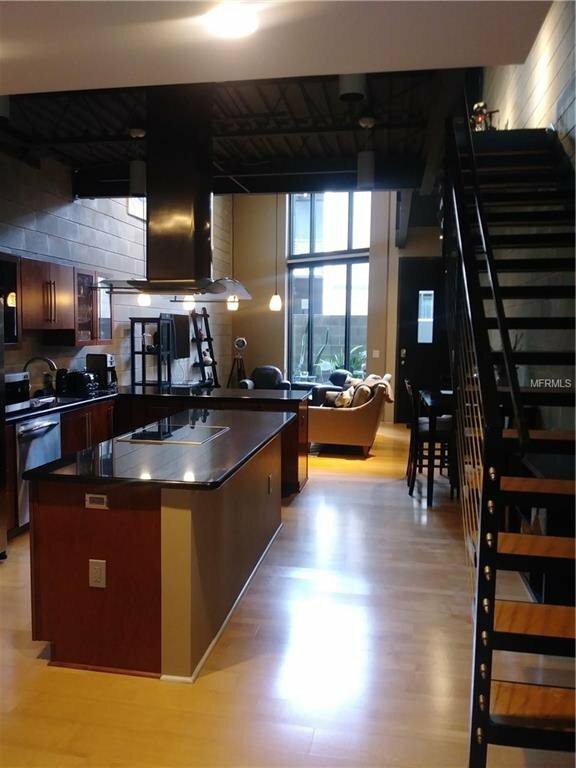 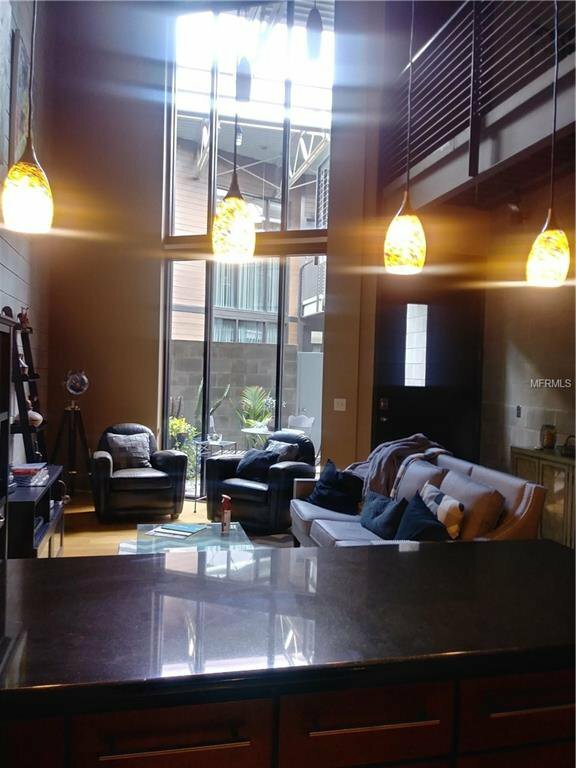 Modern/Industrial true loft in the heart of channelside! 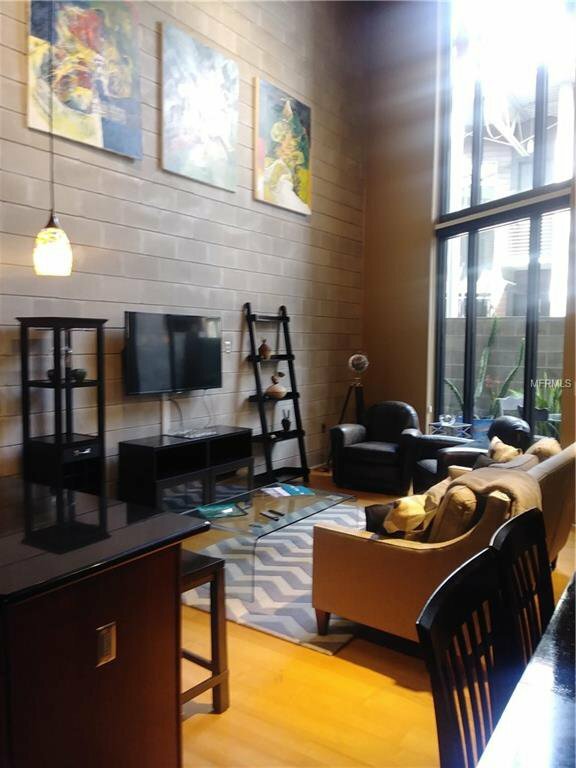 Open/airy floor plan with 25' vaulted ceilings with floor to ceiling windows that look out at your private patio that leads to an architecturally amazing walkway out to your secured and gated parking space. 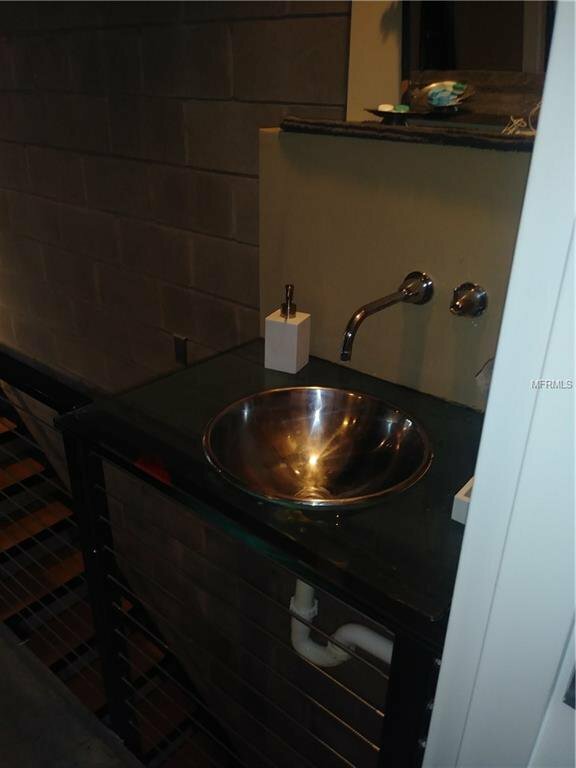 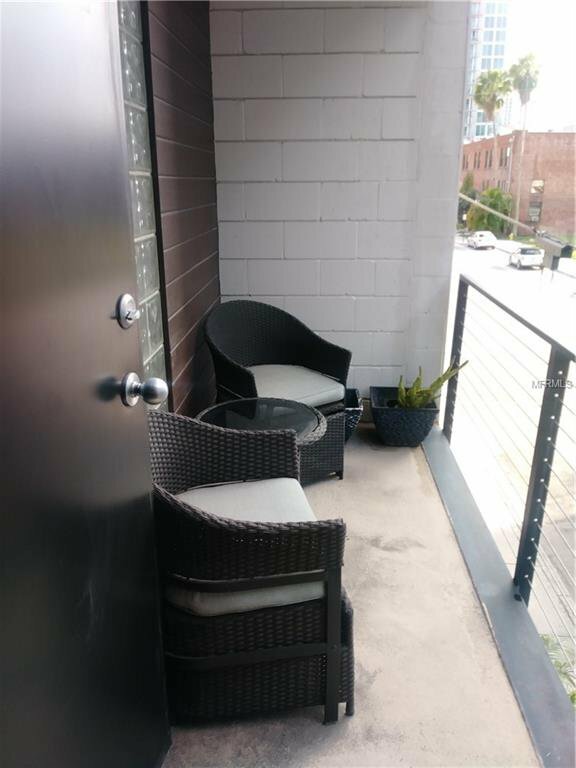 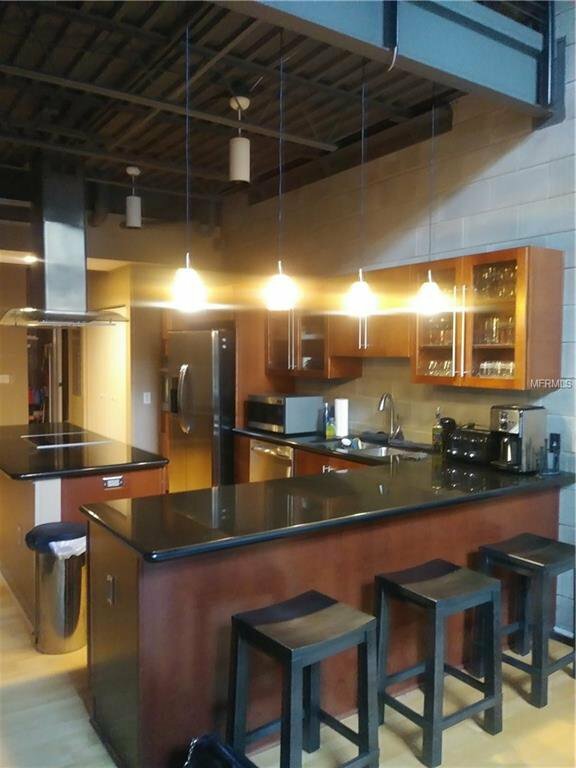 Gourmet kitchen with granite counters, stainless steel appliances, solid wood cabinets, cooking island with seating, inside laundry, 2 balconies, 1 patio, exposed brick, close proximity to USF, Riverwalk, Sparkman Wharf, Aquarium, Bars, and Publix, Amazing place to live. 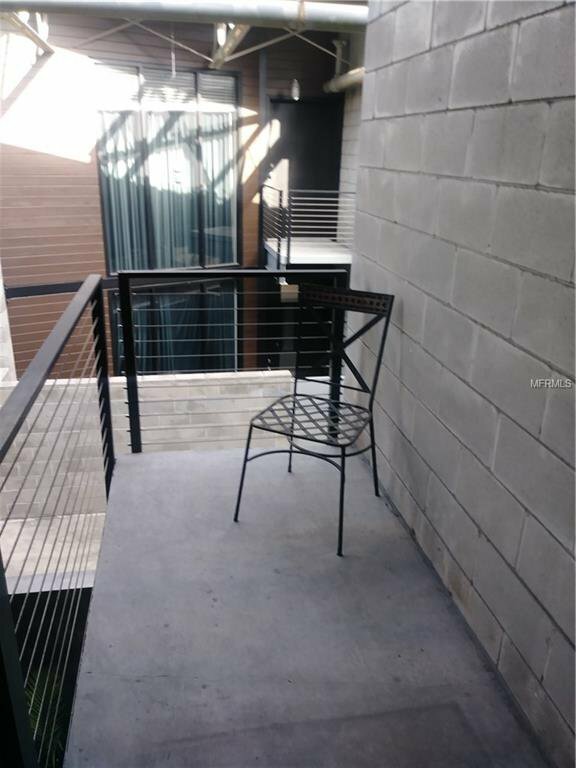 There is a dog park just a block away for your convenience.